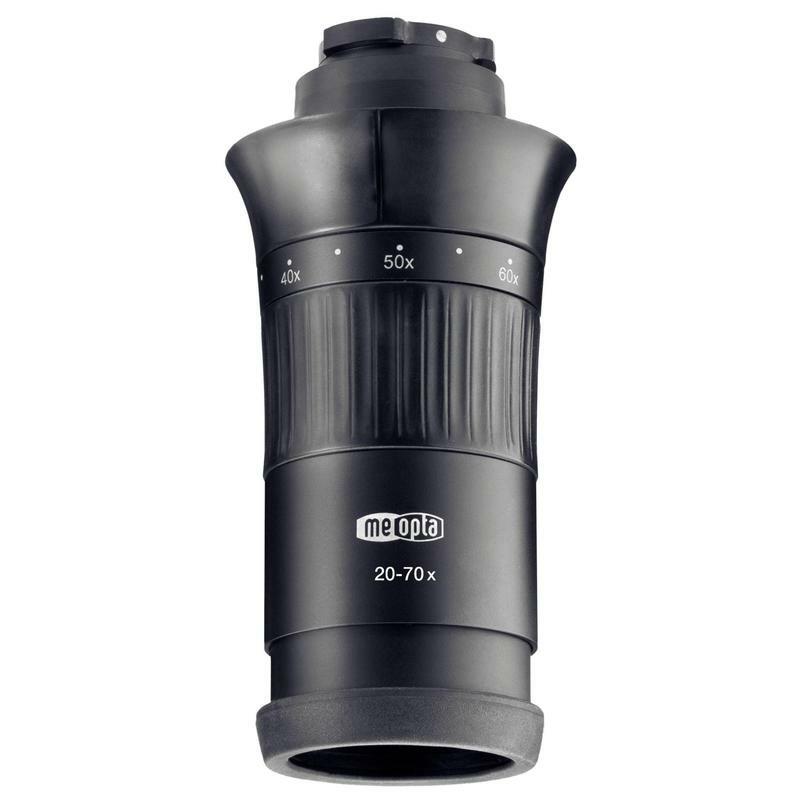 MeoStar S2 82 HD spotting scopes are available in either straight or angled versions. MeoDrop - MeoDrop is a proprietary hydrophobic lens coating designed to repel water, grease, skin oils and lens surface contaminates that can impair clarity. This microscopic hydrophobic layer – applied to external lens surfaces – repels water so aggressively that rain and moisture forms a tight ball and simply rolls off the lens surface MeoDrop coated lenses are easily wiped clean with no smudging or smearing, stay clean longer and maintain the highest level of visual clarity. 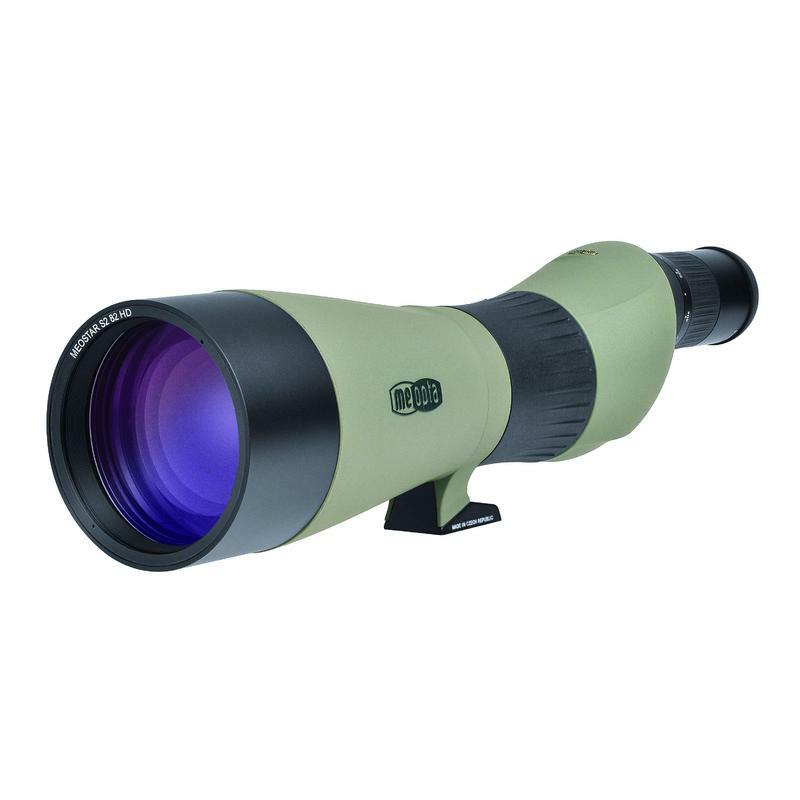 Waterproof - All MeoStar S spotting scopes are 100% guaranteed waterproof, submersible and are fully protected against humidity, rain and snow. Fogproof - All MeoStar S spotting scopes are purged and sealed with inert Nitrogen gas to provide 100% guaranteed fogproof performance. 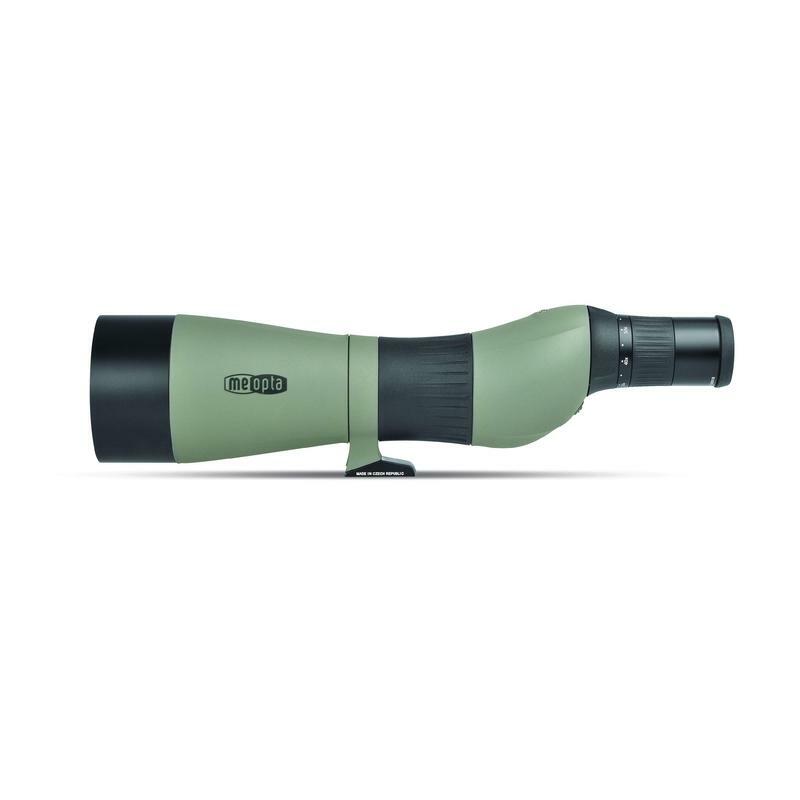 Specifically designed for the MeoStar S2 82 HD spotting scope. 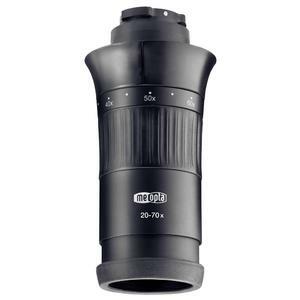 Provides a 45˚ subjective field of view at 20x and a 63˚ subjective field of view at 70x magnification. 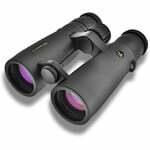 Optimized for extra magnification range and sharp to the edge image. Push button, quick release bayonet mount. Twist-up eyecup. Nitrogen purged and waterproof.